How many Clare's Law requests are approved by West Yorkshire Police? 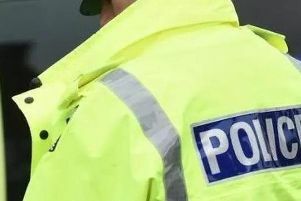 Police in West Yorkshire refused three-quarters of all disclosure requests from people concerned about their partner’s potentially violent past, a new analysis has revealed. The force approved just 25 per cent of all ‘right to ask’ requests made under Clare’s Law in the year to June 2017, while rates elsewhere ranged from seven to 76 per cent. Officially called the Domestic Violence Disclosure Scheme, the law gives people the right to ask police whether their partner has a history of domestic violence or violent acts. It also gives authorities the power to decide that someone who did not ask has the right to know, in the hope it may protect them from an abusive situation. But the Bureau for Investigative Journalism found wide discrepancies in both how often people use the scheme and how often police forces in England and Wales disclose information. Michael Brown, who lobbied for the law following daughter Clare Wood’s murder by an ex-boyfriend in 2009, said he was “very disappointed” with the way some forces used the law. Although West Yorkshire Police only approved a quarter of 'right to ask' requests, senior officers signed off on 76 per cent of 'right to know' requests from officials seeking permission to tell someone who had not yet asked. Detective Chief Inspector Fran Naughton, of West Yorkshire Police, said: “The Clare’s Law Right to Know and Right To Ask initiatives are very important schemes which we fully support as tools we and the public can use to protect individuals against domestic abuse. “As a force, we are disclosing more information under Clare’s Law with more requests for information met in each district in West Yorkshire in 2017/18 so far than in the 2016/17 financial year. “Under Right to Ask, disclosures must be proportionate under national release criteria. In the instances where requests were not met, it has either been the case that the proportionality test was not passed or that the force did not hold information about the person it had been asked about." She said the force was looking at how to improve disclosure rates and public awareness of the scheme.